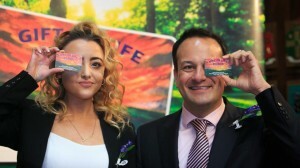 Minister Varadkar with Saoirse Perry from Cabra who had a liver transplant last year. Minister for Health Leo Varadkar has launched Organ Donor Awareness Week at the Mansion House in Dublin with the Irish Kidney Association. “An organ transplant can make an enormous difference to a patient, and to the lives of those around them. That’s why Organ Donor Awareness Week is an important annual event. Although Ireland has a reasonable strong record on organ donation, I would like to see our rates rise to levels seen in other European countries. In 2014 the number of deceased donors was lower than in 2013, but we performed well in terms of maximising the number of organs that were transplanted. A total of 251 transplants were performed thanks to the generosity of 63 deceased donors and 40 living donors. 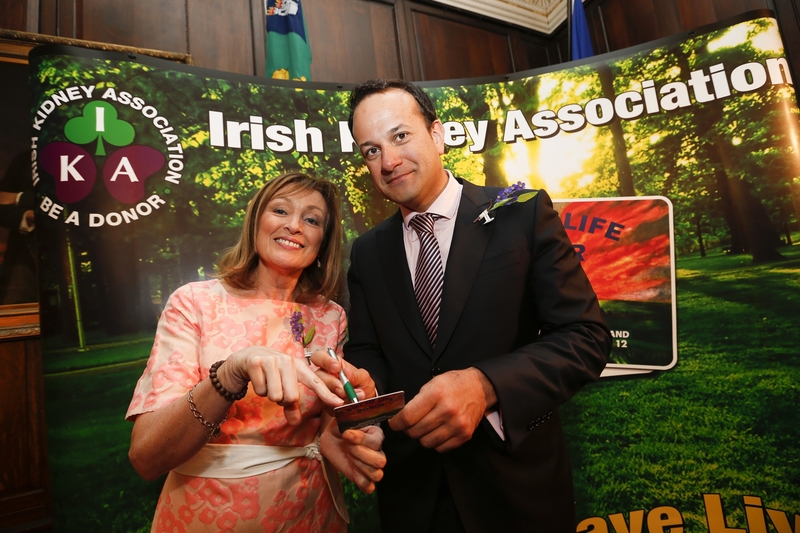 Last year I launched a new scheme to reimburse the expenses of living donors. And additional funding of almost €3m has been provided to the HSE’s Organ Donation and Transplant Office to develop the most appropriate infrastructure for organ donation and transplantation. 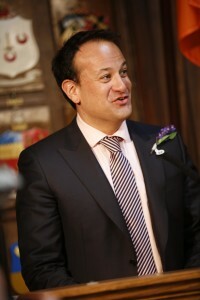 This includes for 19 whole-time-equivalent staff dedicated to organ donation and transplantation across the country”. The 2015 Organ Donor Awareness Week campaign will feature broadcaster Mary Kennedy in radio advertising as well as on posters, encouraging the public to support organ donation. The focus of Organ Donor Awareness Week is to raise awareness about the ongoing and ever increasing demand for transplantation which relies on the public for organ donation. Families need to talk together and keep the reminders of their willingness to donate visible by carrying the organ donor card, downloading the Smartphone App and permitting Code 115 to be included on their driver’s licence. Organ Donor Awareness Week also serves as a fundraising exercise for the Irish Kidney Association. Throughout the Week ( 28th March- 4th April, 2015), the Association’s volunteers will be out on the streets, and in shopping centres throughout the country, selling ‘forget-me-not-flower’ emblems, brooches, pens and shoppingtrolley discs. All proceeds will go towards the Irish Kidney Association’s aid for patients on dialysis and those patients fortunate enough to have received a kidney transplant. 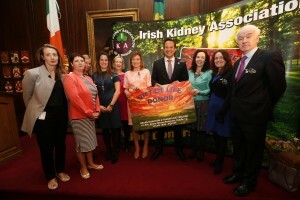 The Irish Kidney Association’s charitable activities include the provision of a 13 double bedroom free accommodation facility for patients and their families in the grounds of Beaumont Hospital and holiday centres located in Tramore and Kerry, together with patient advocacy, advice, financial aid and rehabilitative, health promotion and the provision of kidney patient information and education. This year the IKA is introducing another fundraising technique. You can text “kidney” to 50300 and €2 will be donated from your mobile phone account to the IKA. Free information fact files, which accompany organ donor cards, are obtainable from the Irish Kidney Association and are available nationwide from pharmacies, GP surgeries and Citizen Information Offices etc.